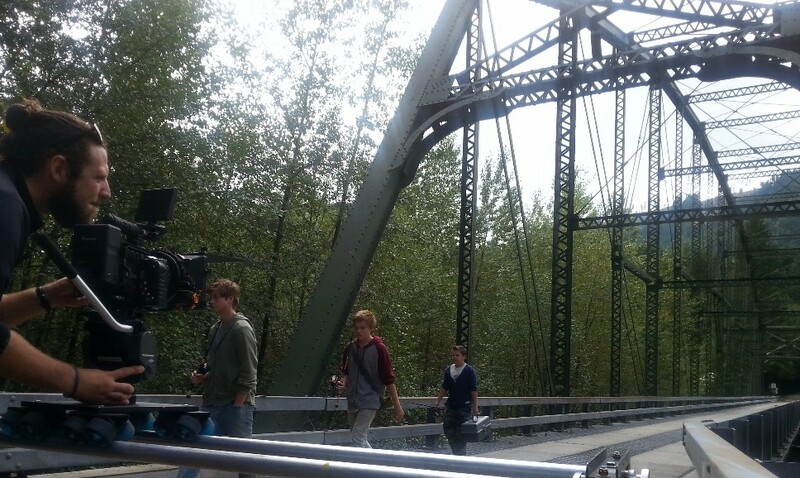 We are the Film Production Hub in Bellingham. ​Let us know how we can guide you through your next film adventure. 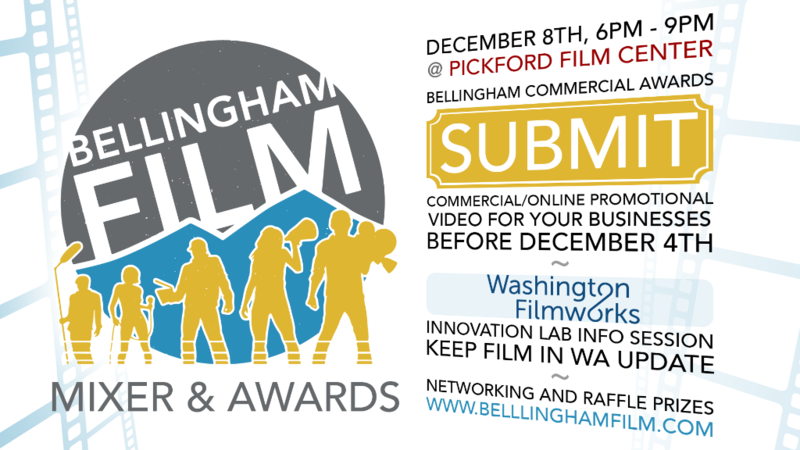 On behalf of Bellingham Film, it is with great pleasure we invite you to our Second Annual Film Industry Mixer and Bellingham Commercial Awards (BCA), 6:00PM on Tuesday, December 8th, 2015. This annual event for filmmakers and local business representatives is an opportunity to discuss the future of commercial media in Bellingham. 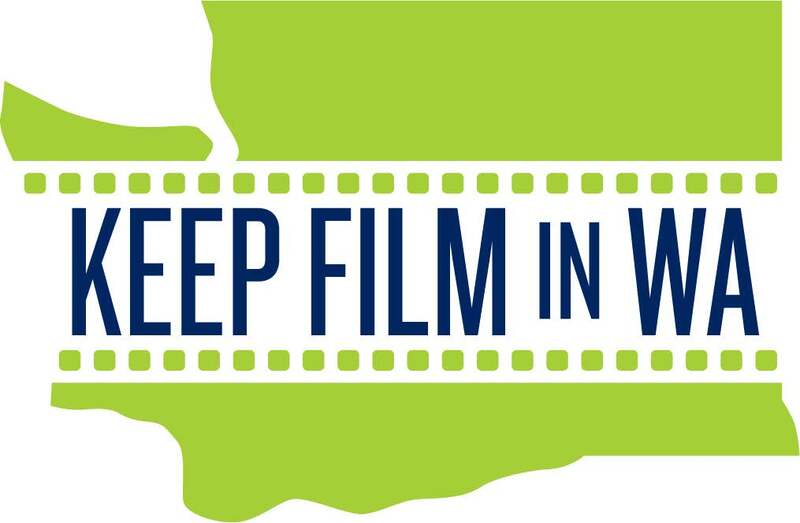 Presentations from Washington FilmWorks will include the mandatory Innovation Lab Info Session along with a Film in WA Update. We will also be presenting the 2015 Bellingham Commerical Awards. Don't forget, your first round of drinks is courtesy of Hand Crank Films. 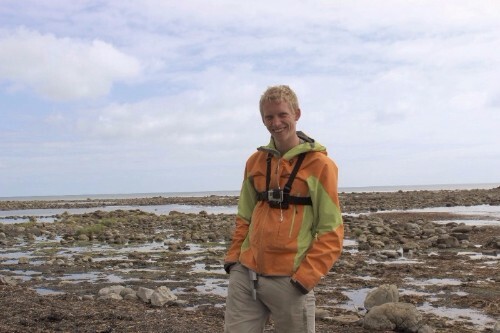 From the mountaintops of Alaska to the bear infested shores of Kayak Island, WWU student Max Romey is filming his way across the world. Most recently, Max spent three weeks living on a boat filming the removal of 150,000 pounds of marine debris off the Alaskan coastline. The film, now in post-production, hopes to raise awareness of how single-use plastics find their way to remote shorelines, polluting the waters and threatening the whales, seals, sea birds, and environment, many of which are endangered. But when you ask Max what he’s most excited about, he’ll tell you about his feature-length documentary 3022ft. which tells the tale of America’s most dangerous footrace: Alaska’s Mt. Marathon. The film sold out six shows at the 400-seat Bear Tooth TheatrePub in Anchorage last July, and has since travelled to 30+ cities with the Trail Running Film Festival’s national tour. “It’s this crazy race that’s been going on for a hundred years, and it took making a movie to understand why people throw themselves down a three-thousand foot mountain.” Max made the film with WWU Alumna Natalie Fedak in the summer of 2014, and both will return to Alaska to represent 3022ft at the Anchorage International Film Festival in December. To read more about Max, visit 3022ft.com. 3022ft. 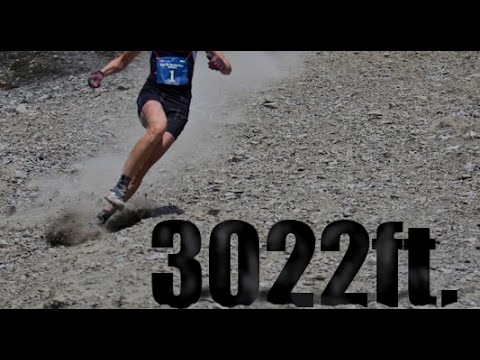 Tells the tale of America’s most dangerous footrace: Alaska’s Mt. Marathon. Among the winners of this year’s thrill fest were “Make You Better” a fast-paced black and white, twist of the neck silent film of a woman’s endeavors to torture a man. It won first place in “Horror Content.” “Left Alive” won second place with “Best Story.” Set in monochrome tone, this gloomy film unravels a sentimental yet dark relationship between a living young man and his haunting ghost girlfriend. “Be Mine” is a story about a stalker taxidermist who isn’t only seeking out animals to stitch up. It won third place in “Best Editing” and third in “Best Overall.” The film that the judges voted “Best Cinematography,” “Best Special Effects,” and “Best Overall” is “The Graveyard Shift,” a film about a few men who work the morning shift at a warehouse, only to discover that one of them has a very undead secret that is exposed right before the morning crew arrives. If you have a sinister story you’d like to make into a movie, submit your film to Bleedingham for next year’s film contest. For more information,http://www.bleedingham.com. In Partnership with Brick Lane Records, Northwest Film Forum is launching Cue Northwest: a series of projects focused on building community and commissioning new art from the music and film community in the Pacific Northwest. The first project will fund an emerging filmmaker in residence to create a short film inspired by the narrative record The One & The Other by Benjamin Verdoes. The selected filmmaker will be awarded a budget of $5,000 to direct a short film using music from the record for the film's score. Applications for the residency will be accepted until January 15th, 2016. 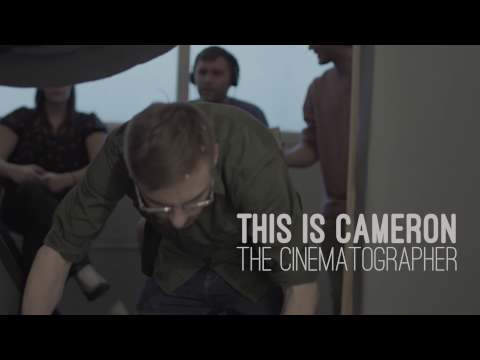 Want to get involved in the film industry and don't know where to start? Contact us and we'll help you find the right fit. * Bellingham Film is excited to announce that we will soon have a home downtown. This will be the new film hub for all your film needs. * Beginning 2016 we are launching our membership program. This is an opportunity for community members to support our organization and receive some perks in return. 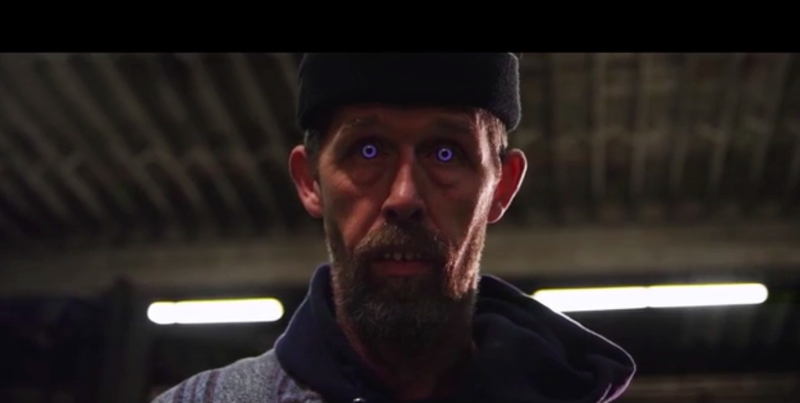 * We started the Bellingham Commercial Awards in an effort to bring more awareness to the types of work our local filmmakers and businesses are creating. Submissions close this Friday Dec 4th @ midnight. * On December 1st we kicked off the 2016 campaign for Washington State's Film Incentive program. Bellingham Film coordinated with Washington FilmWorks to organize a meeting with Kristine Lytton the chair of the state House Finance Committee and other local filmmakers and business. We had an opportunity to inform her on the bill, it's importance and the effects it has on us as individuals and as a community. 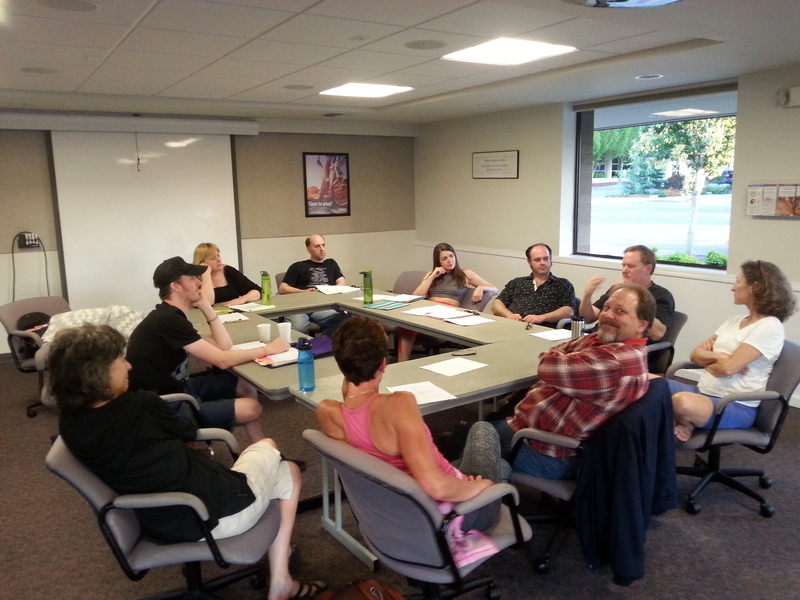 * Michael Petryni a seasoned screen writer and Everett Aison a co-founder of the School of Visual Arts in New York have joined our Bellingham Script Studio Sessions to offer their input and wealth of knowledge. 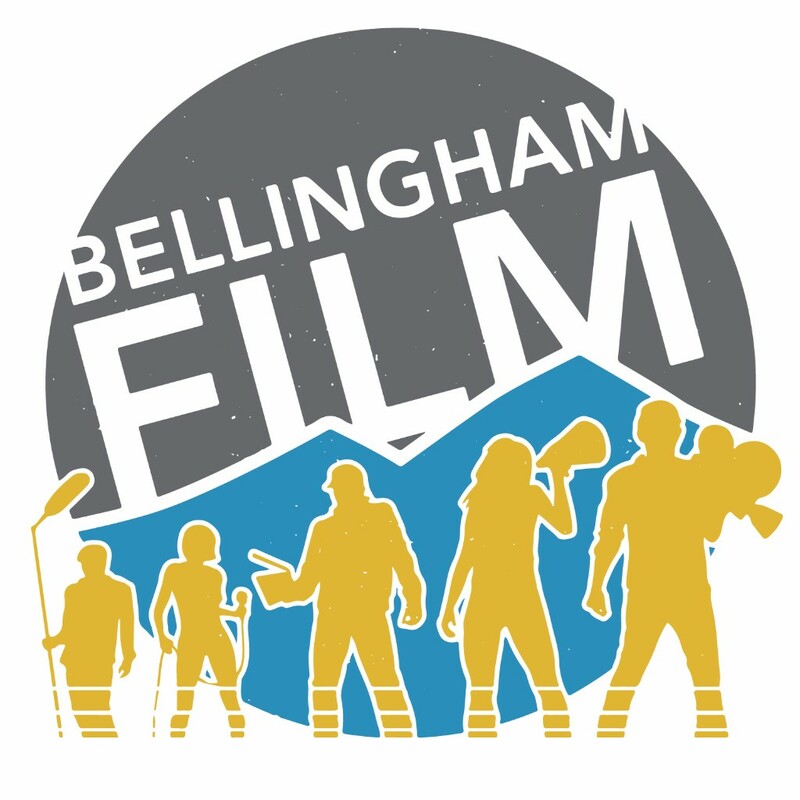 Track what Bellingham Filmmakers are up to, including our programs and events! If you have a project you would like to share, contact us.